A double blister consists of a blister hood and backside which are connected by high frequency or a thermal sealing process. 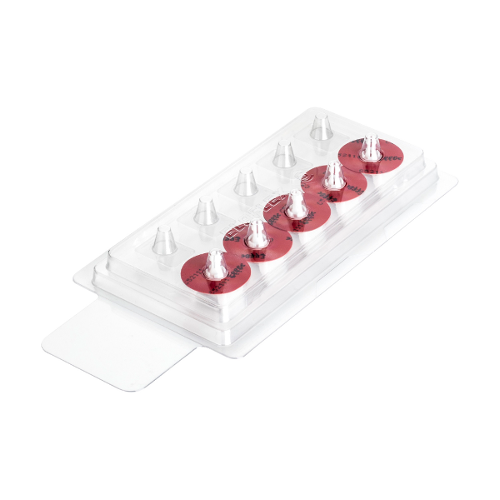 This type of blister pack offers full surround view. The high quality circumferential weld not only provides excellent protection against dust particles but also excellent theft protection. Should we take over the production of the double blister or the complete fulfillment for you? Talk to us and save your resources. In addition to double blisters (full plastic blister), our portfolio also includes other types of transparent packaging. which we manufacture according to your individual wishes. These include sliding blister, blister hoods, folding blister, double blister and plastic tray's.